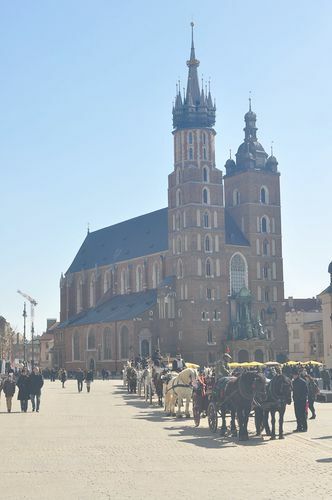 Krakow, Poland….a trip to (not) remember! Now not every trip is going to be a winner, but we have had quite a bit of luck from our traveling over the last 5 years. Almost every trip has had more good than bad, and that would declare it successful. However, our trip to Poland was summed up in one simple word: FAIL!! Maybe it came from the lack of real planning on my part? Maybe the weather didn’t really cooperate, and in fact got worse as the trip progressed? Maybe it was the fact we didn’t have actual seats on our 3.5-hour train ride between Warsaw and Krakow, and then the return as well? 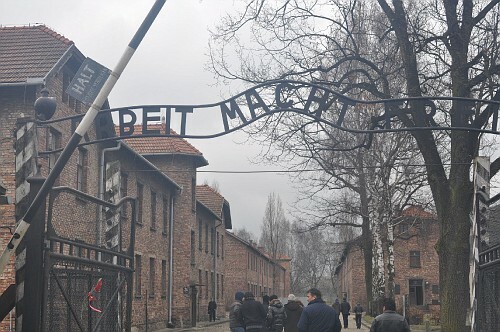 Or maybe it came down to the fact that for my wife’s 31st birthday we celebrated at….Auschwitz? Yes, these all are contributing factors of the worst weekend trip we have ever taken, but on the flipside, we saw some interesting things, and if was under any other circumstance, I would love to go back and spend some more time in Krakow. 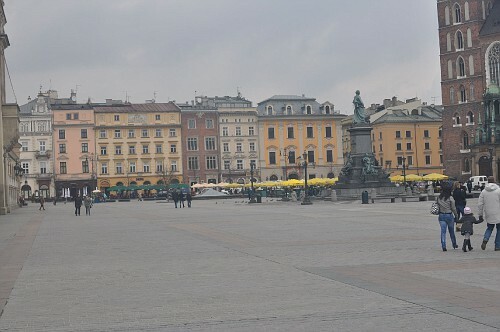 So, the real reason we headed to Poland for a weekend back in March was we had never been there…and I found some cheap plane tickets on LOT Airlines. We had to fly into Warsaw, which was unfortunately a 3+ hour train ride from Krakow, our ultimate destination. I knew the trip was going to start out rough when we got to the train station, which wasn’t the main station, and it looked like something out of the Cold War. There were no signs in English, it was freezing, the building was falling apart, and at any time you felt like you were about to be in a sequel to Hostel. Luckily, we found a nice girl who spoke enough English and pointed us to the right train to get out of that hellhole and head down to Krakow. Too bad that it was the slow, miserable train!! We finally made it into Krakow, and it was an oasis. You would never think that this beautiful old town area of Krakow was only steps from the train station in town, or anywhere near the desolate landscape we had just traveled through. Either way, we walked into town wide-eyed, made it to the hotel, and headed to dinner. Dinner was on recommendation from the hotel, and it didn’t disappoint. I have no idea what we ate (need to update blog more frequently) but it was good, especially after a long travel day. We decided the next day that we were going to head to the concentrations camps since we were in town, so we called it a night early. 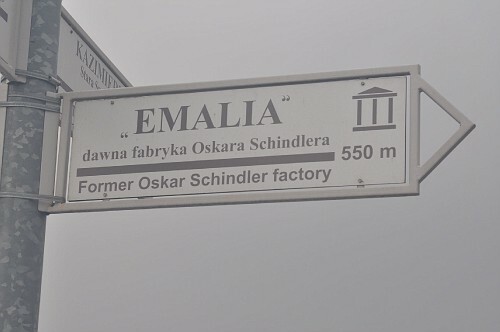 I could go on and on about our trip to Schindler’s Factory while in Krakow, but it was an experience I’ll never forget. I had never even seen the movie until after we visited, since the intrigue was quite high. I highly recommend anyone visiting Krakow to take the time to stop over there, as it’s a piece of history that everyone should see, but again, I could go on for days about it, so won’t get into any deeper in this brief overview. Anyway, I had found this travel guide on TripAdvisor named Bob. Yes, his name is Bob, and his company was called, “Bob, the Taxi Driver.” He had received great reviews, so I was a bit cautious we would even get him on short notice, but we did. 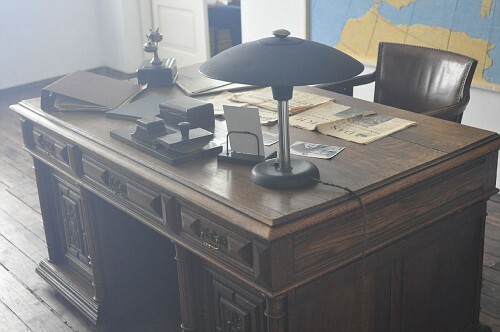 So at 11am, he picked us up from the hotel, and we were off to see the concentration camps of Auschwitz and Birkenau. I have to be honest, I had never heard of the second one, and I’m not sure why, but glad we saw both. Now what can you say? They are depressing, with Auschwitz being set up more like a museum and memorial, whereas the latter is in the same condition as it was founded 60 years ago. That made it a bit more eerie, and surreal to know that thousands of people were trapped in this place. On top of that, it got dark, cold and started snowing while we were walking around, which made it even more uncomfortable knowing that people could never leave, and they were stuck in this man-made hell! Safe to say, we ended our trip a bit early and got out of there, since at one point we were the only ones in the place, and that didn’t sit well with either of us. Even though the day was really depressing, Bob made it quite informational and taught us quite a bit about the area. He drove us around to areas that tour groups wouldn’t go, and showed us monuments that 99% of the people who visit would never see. That made it 100% worthwhile to have him around, and made up for the stupid jokes he told for about 4 hours straight. We headed back to Krakow then, walked around for a bit, and then got some dinner, which again was amazing. It’s really bugging me now I can’t remember what we ate, but it was phenomenal from what I remember. We didn’t have a ton of time the next day since we had to train it back to Warsaw to catch our flight, but the sun finally came out and we were able to take some better pictures, and have some breakfast out on the old town squre. At least it ended on a high note, right?